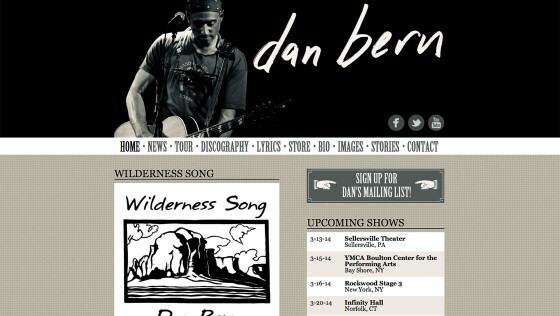 Dan Bern’s existing website was a collection of flat HTML files that were tedious and time-consuming to update. Some content was even scattered across other websites because of the difficulty in maintaining and updating the site. Mark Tapio Kines re-imagined the design of the site and organized the content. Then we built out a fully custom WordPress theme that includes options for updating the header image, background color and texture and more. A custom WordPress plugin added support for the discography, lyrics, store, and stories sections of the site.